Ongoing learning enables me to always provide the best timely advice to my clients. 160 part social media marketing course including Introduction to social media, Auditing your organization, Social media monitoring, Facebook, Twitter, LinkedIn, Pinterest, Google+, Blogging, Instagram, and YouTube. The Inbound Certification is a comprehensive marketing course that covers the core elements of the Inbound Methodology. From optimizing a website to best practices for landing page creation, to inbound selling, these classes are the pillars of what inbound is all about.  The self-paced curriculum introduces the fundamentals of how to attract visitors, convert leads, close customers and delight customers into promoters. Brand: Dot Natives possessing this badge are aware of the strategies and tactics used in branding and have an understanding of how vital brand is in every aspect of a successful company. Mobile Marketing: Dot Natives possessing this badge are aware of the strategies and tactics used in mobile marketing and have an understanding of how to create content that is relevant and valuable to their customers. Search Engine Marketing: Dot Natives possessing this badge are aware of the strategies and tactics used in search engine marketing and have an understanding of how to create content that is relevant and valuable to their customers. Social Media: Dot Native’s possessing this badge are aware of the strategies and tactics used in social media marketing and have an understanding of how to develop, implement and manage a social media plan. Content Marketing: Dot Native’s possessing this badge are aware of the strategies and tactics used in content marketing and have an understanding of how to create content that is relevant and valuable to their customers. Customer Relationship Management: Dot Natives possessing this badge are aware of the strategies and tactics used in CRM and have an understanding of how to create content that is relevant and valuable to their customers. © 2019 Charles Lasker. All Rights Reserved.